50th wedding anniversary of my Parents on 24 August 2008! At the dawn of 24th August 2008, my parents Shri T. K. Narayanan and Smt. N. K. Subbalakshmi completed 50 years of their married life. 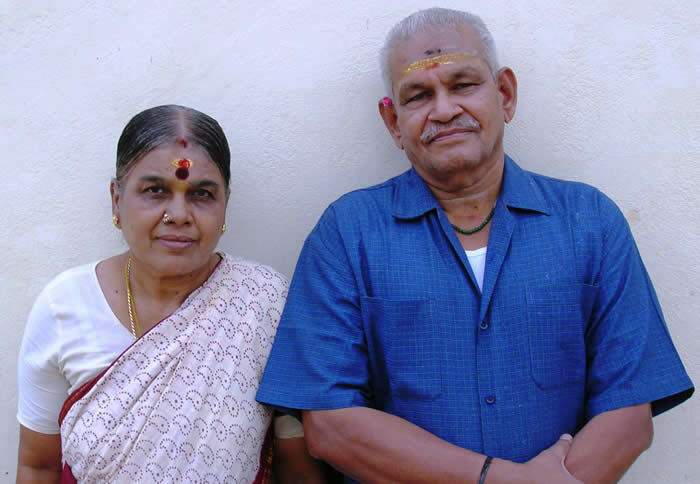 Both my parents are currently residing at Coimbatore, Tamilnadu of India. A simple family celebration was held at Nemmara, Kerala attended by relatives and well-wishers. Our son Sudharshan represented us in seeking their blessings.